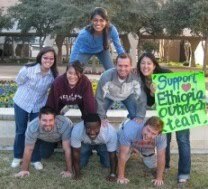 Thanks for choosing to help support our team's effort in providing healthcare to underserved Ethiopia. I really don't do much in the way of blogs or even facebook for that matter so I hope this comes out well. 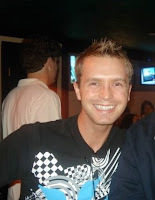 Well....my name is Matt Murrell and I am a native San Antonian. I went to high school at Health Careers, undergrad at UTSA, and now am blessed to be attending medical school at UTHSCSA. Before coming to med school, I worked for a year as a high school teacher at Reagan. Medical school has been a challenging yet fun experience. One aspect that I love the most about our school is all the wonderful service opportunities provided to the students. Going to Ethiopia is just one of many places that our school reaches. Out of all the possible trips I could apply to be apart of, Ethiopia was my top choice. I am so blessed I was picked to go on this and can not wait to spend 3 1/2 weeks with 7 other awesome classmates. One of the reasons I want to go to Ethiopia is because I believe that as a future physician I must learn to share my knowledge, skills, and compassion with those who are in underservered areas. During our trip to Ethiopia we will get to put to use all the countless hours of studying. Not only will we utilize our skills learned in lab but we will also get to experience what it is to truly care for the patient and the joy of a patient's smile and laughter. I hope that ya'll will follow as we continue to post more information on important fundraisers to help us to treat as many people in Ethiopia as possible. From the mission trips I have done before, I know that by the end of this trip that we will have learned and gained much, MUCH more than we will have given to the people of Ethiopia.